Attleboro Farmers Market will feature On The Edge Knife Sharpening. Bring your dull knives, leave with them sharp. Attleboro Blue Bombardiers football players will be at the Market this week with Attleboro Blue Pride Football 2012 Classic Cards. 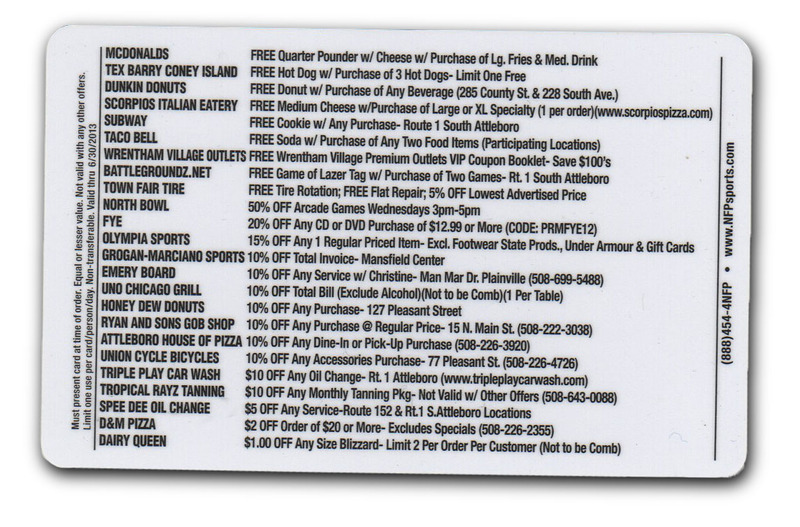 These cards offer discounts which can be used at many of our local retail establishments. CLICK HERE to see the discounts available. Bring a non-perishable food item to donate to a local food pantry. 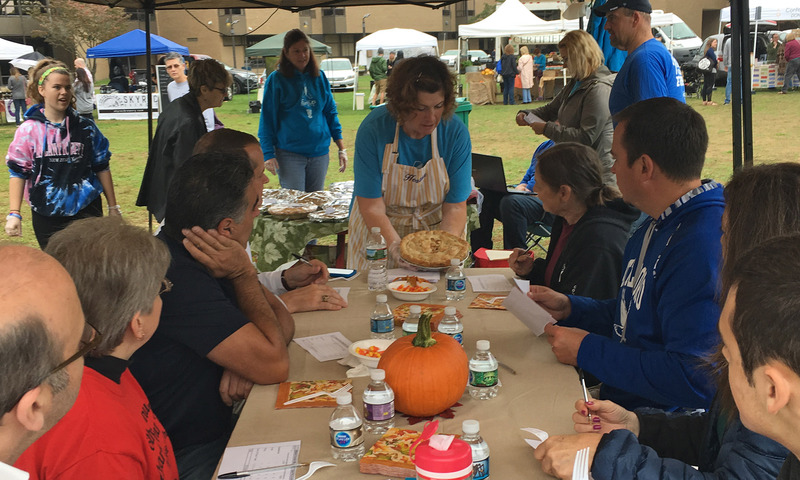 It is the Attleboro Farmers Market season’s mission is to help a local food pantry each week. Food and money donations are accepted. 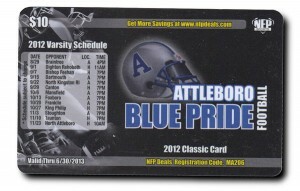 LOVE the Blue Bomber card! The Scorpios deal is awesome!!! !